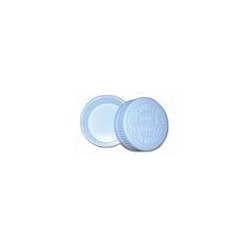 We are offering quality Balm Cap to our customers. We make sure that our products provide resistance against corrosion and ideal for long time use. The offered screws are manufactured by us using modern machines and quality raw material sourced from the authentic vendors of the market. Backed by a rich industry experience, we, "Peacock Industries," are engaged in manufacturing, supplying, trading & exporting superior quality range of Plastic Caps, Spoons, Plastic Inhaler, Dropper Bottle, Dry Syrup Bottle, Rubber Teat Dropper and Plastic Measure Cups. These are manufactured using fine grade basic material to ensure their compliance with defined industry standards. We export to all over parts of the world which includes East Asia, Middle East, East/Middle Africa, North Africa, etc. Reliable performance, waterproof finish and wear & tear resistance are some of the features of the offered products. Manufactured at our in-house design unit, these are kept in compliance with latest market trends and global quality standards. Apart from offering our products at market leading prices, we also ensure that all the consignments are delivered to clients premises in a timely manner. We are looking for query mainly from foreign.